The Werfault.exe program is a core Microsoft Windows operating system (OS) application that automates the reporting problems in the Windows OS. Since the Werfault.exe application is a core OS file, it should not be deleted or removed from the computer to avoid unintended errors or to prevent programs from not functioning. 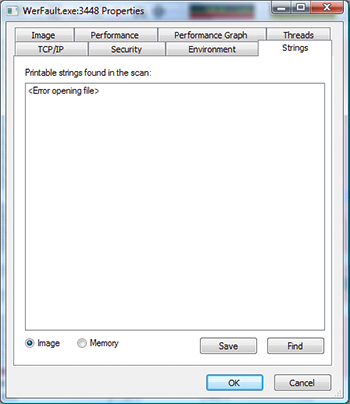 Stopping werfault.exe from running every time a computer application hangs or crashes is preferred over removing the program altogether. Step 2 – Select the “System and Maintenance” menu option then click the “Problem Reports” menu choice from the available selections. Step 3 – Click the “Change Settings” and “Advanced Settings” menu options, then turn off automatic issue reporting in Windows. Step 4 – Exit all active windows opened from the Windows Control Panel and restart the computer to stop Werfault.exe. 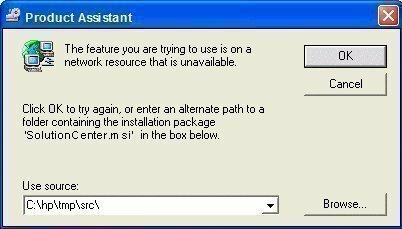 If the computer is experiencing faults with the Werfault.exe program, the two options that Microsoft recommends are to uninstall/reinstall recent programs or to use Windows System Restore to regress to a backup copy of the OS and installed programs. Step 1 – Open Windows Control Panel. Step 2 – Select the “Add/Remove Programs” menu option. Step 3 – Choose the “Uninstall” menu button beneath the name of the recently installed program, follow the default menu prompts to complete program removal, and restart the computer. Step 4 – If the Werfault.exe fault has cleared, reinstall the application. If the fault recurs, check for application updates from the third party software manufacturer in order to resolve the issue. Step 5 – If the Werfault.exe fault persists after removing any third party applications, restore the OS to a previous good state using System Restore. Step 1 – Select the “Start” menu button. Step 2 – Enter “System Restore” in the Start search box, then press the “Enter” menu button. Step 1 – Choose the “Start” menu button. Step 2 – Select “Programs” and then the “Accessories” menu buttons. Step 3 – Choose “System Tools” then the “System Restore menu buttons. After the System Restore program launches, select the “Next” menu button to initiate the Windows Restore process using the system recommended restore point to correct the Werfault.exe fault. 161 queries in 0.430 seconds.